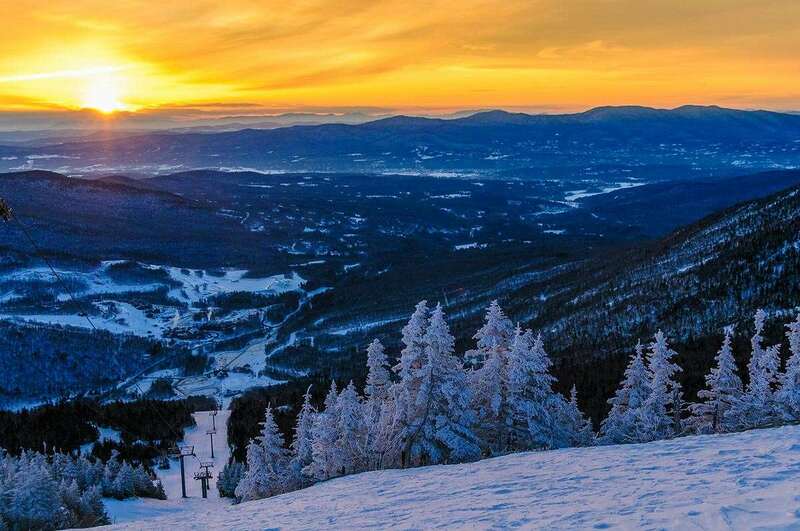 As the most popular resort in Vermont, Stowe attracts thousands of skiers every year who are looking to improve their abilities and enjoy a relaxing stay in one of the most idyllic areas of North America. With a history spanning over 200 years, it is clear to see why Stowe is consistently popular with winter sports enthusiasts. The terrain is set on the tallest mountain in the state and has runs for all kinds of abilities. The resort area is full of amazing options for visitors and is closely connected to the Smugglers’ Notch ski area, ensuring that people have a variety of runs to choose from. Stowe benefits from an excellent variety of runs and an efficient transportation system that easily allows visitors to take advantage of the amazing runs available across the resort. Great slopes are available at Mount Mansfield and Spruce Peak and there is a 2,360ft vertical drop that experts will relish. Overall, there is 485 acres of surface for travellers across 116 trails that can be reached by 13 lifts. This equates to an hourly capacity of 15,516 passengers. Surfaces at Stowe are immaculately maintained and snow cannons are used in several areas to ensure high quality skiing. The season runs from November to April. The resort boasts some of the best eateries across the east coast ski scene, including the sensational Bistro at Ten Acres. The menu here focuses around delicious roast meats, seafood and bistro classics, alongside some more conventional options such as burgers and fries. Excellent art attractions also await in Stowe, including the Lamomile County Players’ shows at the Hyde Park venue, where there are some outstanding independent performances scheduled. The Spruce Peak Performing Arts Centre and Stowe Theatre Guild are other great options for visitors looking to see fascinating culture in a stunning setting. The closest airport to Stowe is Burlington, which is roughly a 40-minute drive away.